The kids of Jamestown started school just last week. How's it going so far? I've heard rumors of tests and projects already...the summer break is officially over. Enter another engaging biography by the talented Mr. Fleischman, author of the highly acclaimed Escape! : The Story of the Great Houdini. Charlie Chaplin is presented as an unparalleled comedian with a colorful personal life. The author follows the comedian from his tough beginnings through his reign in Hollywood to his ultimate death and beyond (Sir Charlie suffered the indignity of having his grave robbed!). This "warts and all" narrative is complemented by vivid photographs of Charlie at work and at play throughout his life. The chapters are short and easy while the writing style is colorful and bold. This is an all-around biography recommended for readers grades 5 and up. A follow-up to Law's Newbery Honor Book Savvy, Scumble revisits the world of families whose members inherit remarkable talents on their thirteenth birthdays. Ledger Kale is about to hit that magical age and cannot wait to find out his savvy. Like his cousin Mibs Beaumont (the main protagonist of Savvy), Ledger will go through many adventures and self-analyses on his way to learning how to come to terms with his special gift. Law's rich writing and even plotting encourages readers to tear through the pages of this book (not literally, please). The chapters are manageable but you'll probably keep reading past your goal because you'll be so entertained. 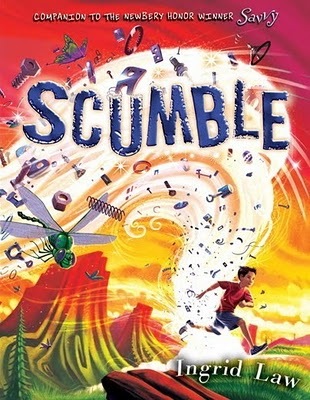 Scumble serves as both a sequel and a stand-alone book which is sure to please fans of Savvy and new readers alike. This chapter book is recommended for readers grades 4 and up. Another great entry from Grace Lin, the author of the magical fairy tale Where the Mountain Meets the Moon. 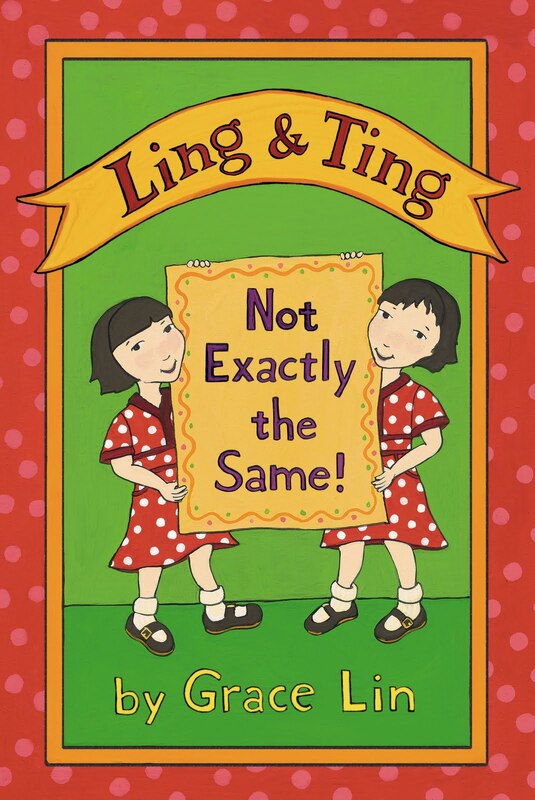 This story of twin girls who are quite similar in appearance but who have many personality differences and talents will appeal to twins and non-twins alike. The six stories contained within this slim volume are perfect for new readers. The colorful illustrations on each page are the perfect complement to the lively text, more than adequately illuminating the conversations between the sisters. This Easy Reader is recommended for readers grade K and up. I hope that you'll enjoy exploring these books and the dozens of other new releases that we have here at JPL. Our shelves are stock full of stories just waiting to be discovered! Why not read a great adventure/comedy/biography/historical fiction/non-fiction/etc. book and get homework done at the same time? Happy reading!